was glad to be out of the stuffy clinic building and out in the sunshine. Once I was a few paces out the door I remembered I had a blister on my heel. I thought about turning back, but figured I could tough it out enough to make it around the block. I'm not that big of a baby. So I continued walking. Around half way I developed a slight limp to my swagger due to the previously mentioned blister being aggravated. As I was limping along I came upon a middle aged couple out in their yard. They were in their grungy work clothes covered in sweat and dirt which gave off the impression of being hard. The man had his back to me and was holding a large pole, nearly 10 feet long, with sharp clippers on the end. He was reaching up and clipping the dead branches off a tree far above his head. Each clip ringing a sense of impeding danger. As I got closer the woman stopped suddenly and stared me dead in the eye. She grabbed the man's arm and whispered, "Herb, stop," he immediately froze in place, "we've got a walker." The man stood still with the long pool suspended in the air, he didn't even move to look at me. The woman remained in eye contact with me as I slowly limped past her. I have never felt more like a zombie!!! The rough looking people, the limp, being called a "Walker" (Walking Dead style)! Sure they might have just been trying not to kill me by dropping a dead branch on my head as I walked passed, but you've got to admit it was pretty zombie like!! After I passed the couple I wondered what if I really was a zombie and didn't know it? 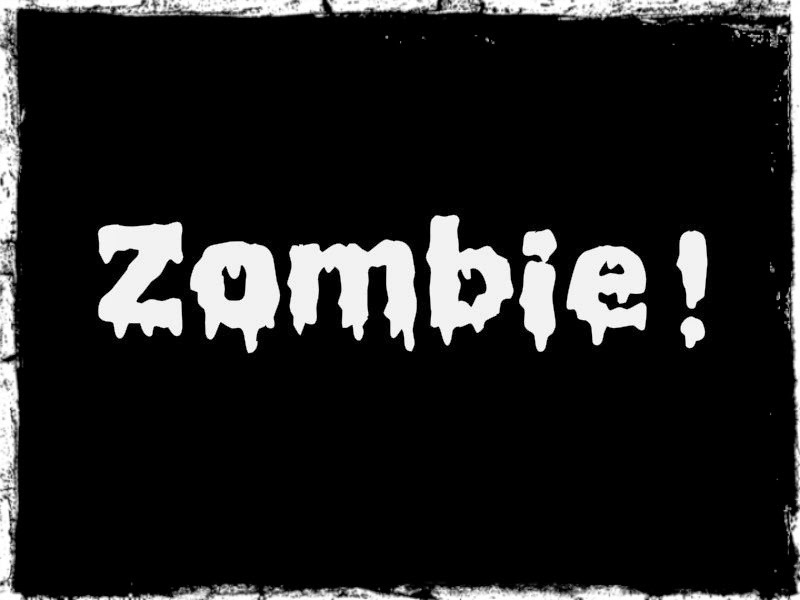 Do you think zombies know they are zombies? I didn't have an urge to eat their brains, but if I was a zombie would I find it weird if I did or would I just think it's my normal existence? Would I even remember being alive instead of undead or would it be some type of reincarnation scenario where I don't remember who I was in my past life? That is HILARIOUS! I wonder if she had any idea what that sounded like! Probably not. She was probably creeped out that I was staring at her so much! !